Superstar Rajinikanth says he is confident that his upcoming film "2.0", a sequel to 2010 blockbuster "Enthiran", will be a "super duper" hit as everyone will connect with its message. Braving rains on Saturday morning, scores of Rajinikanth fans gathered at Sathyam cinema in Chennai, the hometown of the 67-year-old actor, to get a glimpse of the superstar. As he arrived on the stage during the trailer launch of S Shankar-directed film, Rajinikanth received a thunderous applause from the crowd. "I am telling you today, take my words, it is going to be a super duper hit film," he told the crowd. "My first congratulations to producer Subaskaran, director S Shankar. I would like to give credit to Subaskaran, who has come forward to invest nearly Rs 600 crore on this project, by not trusting on Rajinikanth or Akshay Kumar or anyone else but in one man, Shankar." The superstar, who has collaborated with the filmmaker on a number of projects, said the director never fails to entertain the audience and meet their expectations. "He never fails his producers, exceptions will be there. In the last 25 years he has always been improving. He is a great filmmaker, a showman, a magician, an Indian James Cameron and Steven Spielberg." Rajinikanth described the film as a tech marvel which packs a magic and which will lead it to success. "This film will not do well because of technical excellence or 3D or big people are involved in it and all that. Everyone puts hard work and efforts. Something will happen, some magic will work out for this film." He further revealed that the film has a message for the audience, which is relevant in the current times. "It is a thriller, entertainer and it has a very good international message for everyone - universe is not only for human beings but for all living creatures. "There is a message that Shankar has in given in the film, that how modern technology is spoiling the whole universe. He has dealt with this subject with technical excellence and creativity, hats off to him," he added. 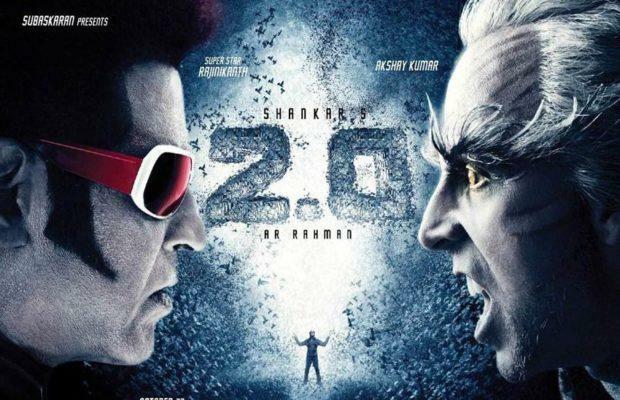 Actor Akshay Kumar is making his debut in the south cinema with "2.0" and Rajinikanth thanked him for saying yes to the project. "It took him a lot of time to get into his character... About four to four-and-half hours to get into the costumes and he did it effortlessly. Hats off to him," he said. During the shoot of the film, Rajinikanth was unwell at one stage but still he finished his work commitments. "I had to wear costumes that were 10-15 kilos of body suits, I was unable to do it. I told director that I won't be able to justify it. And I will return all the advance given. It was the producer Subaskaran, who held my hand and told me that they will wait." "2.0" will hit the theatres on November 29.